River Crossing is a 2-bedroom 2-bathroom condo that has all of the luxuries of home. This spacious well-appointed condo unit can comfortably sleep 4 people. 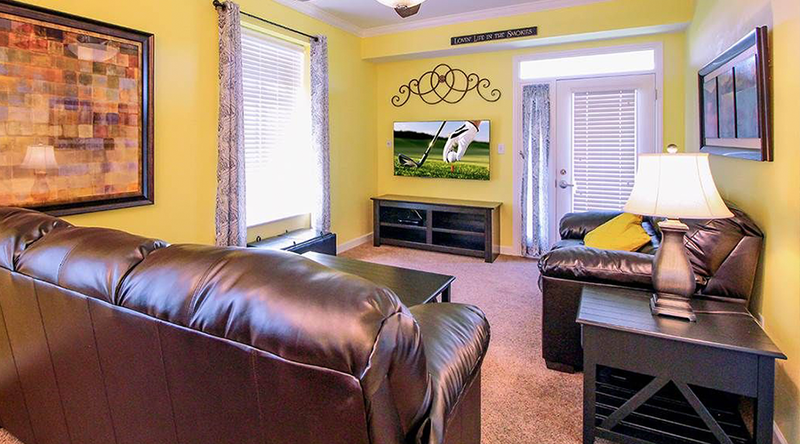 This condo in Governor’s Crossing is for those wanting to be convenient to all of the attractions and restaurants in Pigeon Forge while enjoying first class luxury and amenities.